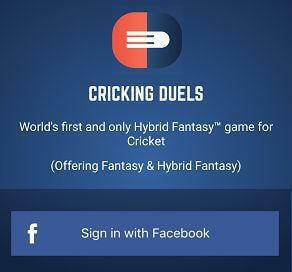 CrickingDuels is the only platform that offers both hybrid & tradition fantasy cricket. The hybrid fantasy league is where you can be the eleventh player on your team and earn points by making ball-by-ball predictions. Some may find this feature intriguing but not me. When I first came across Cricking Duels, I wanted to try it until I found that I had to predict for every ball of the match. That's way too time-consuming. But just for the sake of letting you know through this review, I created an account. And was pleasantly surprised to find that it also has the usual fantasy leagues. Cricking Duels also gives you a referral bonus of Rs.89 when you register with a referral code like this one- 2WY1JU. 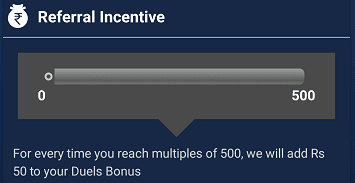 This bonus can be used to join bonus leagues. Read more about bonus leagues later in this review. New: Now you can play fantasy football on cricking duels. And they are currently giving free entry to Rs.2000 cash league for every FIFA World Cup match. You can join this league with multiple teams. 1. Referral Bonus: This bonus is added to your account for referring your friends. You can use 25% of this bonus to join "Bonus leagues"
1. 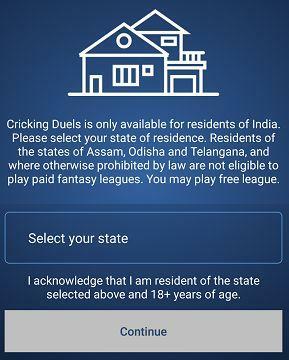 Download the Cricking Duels app for Android or iOS. 2. Open the app and Sign in with Facebook. 4. 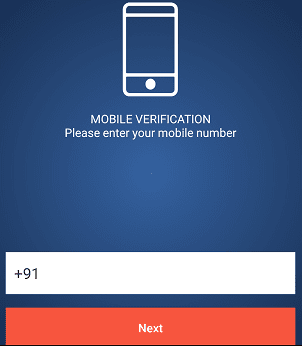 Enter your mobile number and tap the “Next” button. 6. Now enter this referral code- 2WY1JU to get Rs.89 Duels Bonus in your wallet. That’s it. You’ll get Rs.89 immediately after sign up. In these contests, you select 10 players and you are the 11th player of your team. So, what do you do as the 11th player? Certainly, you aren't supposed to go out there and play with the rest of the team. As the 11th player, you need to make ball-by-ball predictions. The more correct predictions you make the more points you'll earn for your team. Hybrid fantasy leagues are for those who are free and enjoy making predictions(a lot). For me, it's way too much of a hassle to predict for every ball of the match. I get bored way too easily. You can create up to 8 teams. Well, it's the same as the usual fantasy cricket. You have to select 11 players within the salary cap, choose a Captain & Vice-captain and join leagues. Vice-captain will earn 1.5x his points and the captain gets 2 times the points for his performance. You can create up to 4 teams. Leagues close 15 minutes before when the match starts. So you can select the players that are in the line-up. 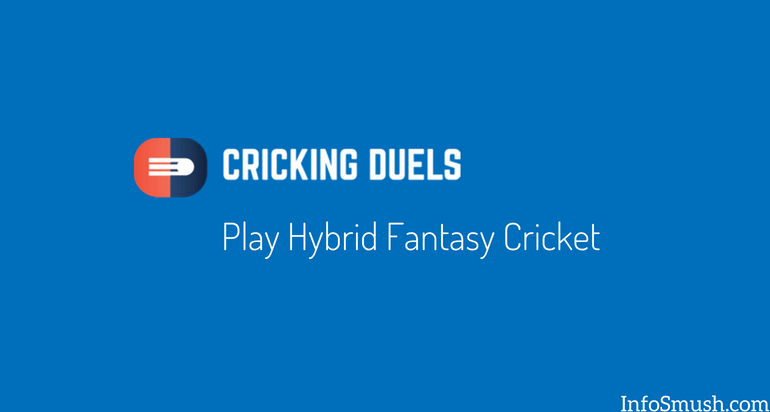 CrickingDuels offers bonus fantasy and hybrid leagues for every match. In these leagues, you can use 100% of your Duels Bonus and 25% or referral bonus(bonus that you receive for signing up with a referral code & referring your friends). 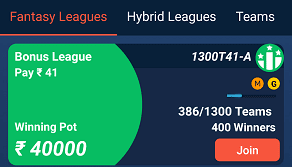 Bonus leagues are green in color. There are at least one Bonus League for every match and sometimes as many as 10. 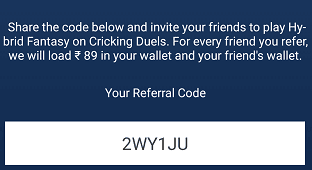 For every friend that enters your referral code, Cricking Duels will add Rs.89 Referral bonus in your and your friend's wallet. 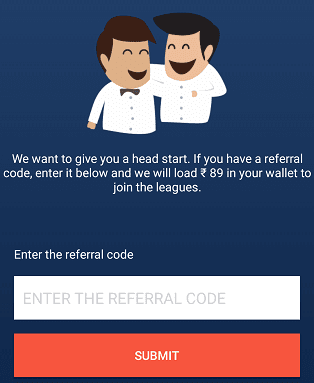 For example, when you register with this referral code-2WY1JU- you and I both get Rs.89. With Referral incentives you can earn extra Duels bonus just by referring more users. You can earn extra Rs.50 for every Rs.500 that you accumulate via referral bonus. For example; if you refer 6 friends you will earn Rs.6x89=534. So, you have earned more than Rs.500 via referral bonus. Now Cricking Duels will add Rs.50 to your cash bonus to your wallet. Cricking Duels will add Rs.50 to your wallet for every Rs.500 that you earn by inviting your friends. Or in other words, every time you reach multiples of Rs.500 they will add Rs.50 to your Duels Bonus. Minimum withdrawal amount is Rs.200. You can withdraw only your winnings after verifying your account(bank account details and PAN card) to your bank account. It can take up to 2 working days for the withdrawal request to be processed.